If aging, acne, or too much time in the sun has left your face, neck, chest, and hands with blotches, scars, wrinkles, or lines, laser skin resurfacing may help your skin look younger and healthier. Laser skin resurfacing can improve the appearance of: Age spots, sun damage, fine lines and wrinkles. Laser skin resurfacing removes skin layer by layer with precision. The new skin cells that form during healing give the skin a tighter, younger looking surface. And it’s now easier than ever to improve the way your skin looks and feels, without surgery or lengthy recovery times. Fractional non-ablative laser skin resurfacing can quickly help improve a multitude of skin flaws. Starlux Fractional Skin Resurfacing offers both superior results and no downtime. The Lux1540 beams penetrate deeper into the dermis than competing devices for effective, long-term results. And the Fractional non-ablative approach stimulates quick healing in the dermis, while leaving the epidermis intact, with no lasting redness. StarLux Fractional treatments are also easier than other technologies, which can involve long prep and clean-up time. Some devices even require that dye be applied to your skin, which is difficult to rinse off after treatment. But StarLux doesn’t required dye or prolonged appointments. Treatments are quick and convenient to your schedule. By delivering light as individual pulses of microbeams, the Lux1540 protects the skin from the overheating that can result from many other resurfacing treatments. 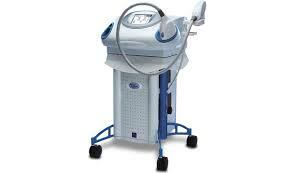 In addition, the Lux1540 features built-in cooling of the skin, so you feel only minor discomfort during treatment. What makes StarLux Fractional treatments different from other Skin Resurfacing methods? Some skin resurfacing devices, such as CO2 lasers use the ablative method, which removes the epidermis and some of the dermis. While good results are eventually seen, the drawbacks include red and raw skin, and the risk of infection for several weeks after treatment. Other devices use the non-ablative method; sending light pulses into the dermis, while leaving the epidermis intact. This allows quick recovery but when the light pulses don’t penetrate far into the dermis, the change in skin tone and texture is less effective.